SOLVAY COMPANY ALCO-COOKE STEAM LOCO-MOTIVE #47. This 40 ton steamer, built in 1920, is typical of the thousands of steam engines which performed industrial switching duties during the first half of the 20th century. 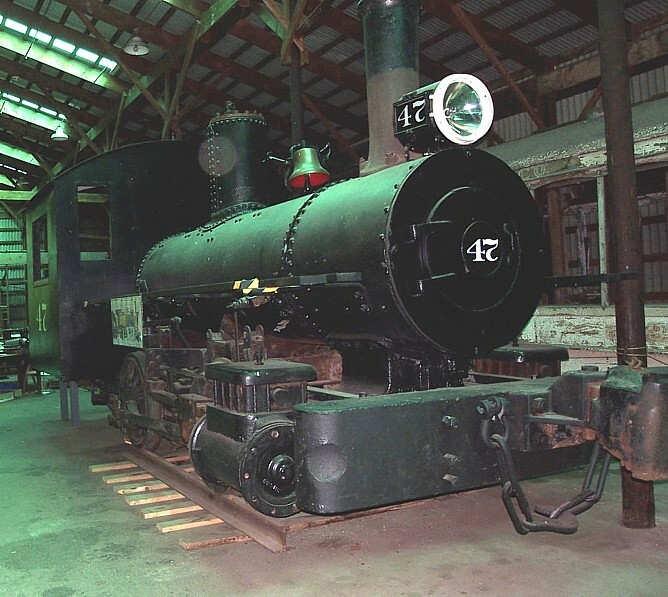 #47 spent its working life at the Solvay Works in Syracuse, NY.